At MNB Precision, we operate a large variety of state-of-the-art CNC Milling Machines, providing various machining services including Precision Milling. 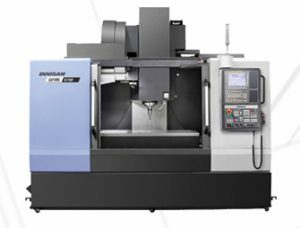 With these Milling Engineering Machines, we are able to provide both capability and capacity to a range of industry leaders in the marketplace. 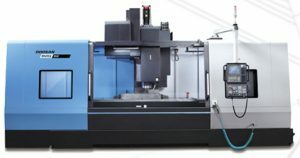 What is the process of Computer Numeric Controlled Milling? Computer Numeric Controlled (CNC) Milling is a machining process primarily used in Oil and Gas Industries. CNC Milling uses a rotating cutting tool similar to drilling, the difference being that there is a cutter which moves along different axes creating multiple shapes that can include holes and slots. It is the common form of Computer Numerical Control Machining as it performs the functions of both drilling and turning machines. It is the easiest way of getting precision drilling for all types of quality materials to produce products for your business. Over the last 20 years, with advances in technology and the accumulation of vast experience, we have been able to develop our CNC Milling Services and are now able to offer highly complex and precise features to many leading customers. While our experience mainly lies in the process of manufacturing components for the Oil, Gas and Power Generation Industries, we have also provided some ground-breaking services to those in other sectors. We have the capability to work on projects of all sizes with our efficient machining systems. We are proud to have the CNC Machining capabilities to work on projects of all sizes. From the large through to the small, we have the equipment to provide precision engineering for a whole range of applications. Usually, the largest diameter which can be milled by us is 1 metre, while the maximum working length is 6 metres. However, the maximum component length which can be machined is substantially longer, simply by appropriately supporting the workpiece at either end. Using our through spindle coolant supply, we can cut materials quicker than with standard coolant spray systems, while our Solidworks CAD/CAM and Vericut systems make technical interaction with the customer much more efficient, and dramatically speed up the whole process, providing you with efficient systems. Two of our horizontal CNC Milling machining centres have automatic knuckleheads which enable us to machine at any angle. Coupled with the use of spherical cutters, this allows us to achieve geometries as complex as any five-axis machine. At MNB Precision we operate a ‘can do’ culture and are always ready to explore new concepts, develop ground-breaking methods and take on the most demanding of milling challenges. For more information on CNC Milling, CNC Turning or any of our services, please contact us or call 02476 695959. Timely – We understand that some of the pieces we work on have a tight deadline and we have the skill and machinery to make sure that we are able to deliver on time and without compromising the quality of the work we complete. Highly-Experienced – We have been offering CNC Milling services for over 20 years. We have put together a variety of state of the art milling machines for various processes and a team of highly experienced engineers and operators with the capacity to guarantee quality results to all our clients. Capacity – We are able to work on both large and small projects. We are also able to work on pieces of up to one meter in diameter and six meters in length. With the diversity of our machinery, we are able to guarantee pinpoint accuracy in all projects of all sizes.